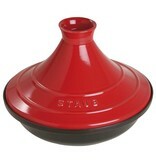 Often used in Moroccan cuisine, the dome shaped cover of the Tajine creates a waterfall effect with the build up of condensation, keeping foods very moist. 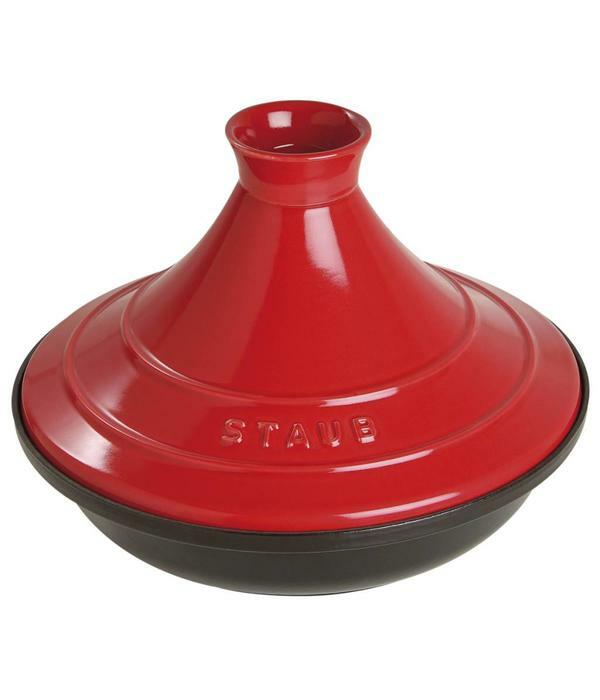 Made exclusively in France, Staub vessels feature vibrant coloured glazes in assorted shapes, sizes and functions, each piece an expression of the artisan. Acknowledged as the optimal platform for slow-cooking, the material density of cast iron retains and redistributes heat evenly. 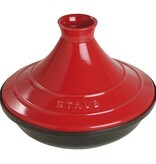 Use and Care : Dishwasher safe, hand washing is recommended.